We celebrate the latest addition to Mississippi’s cultural landmarks—The MAX delivers! The state of Mississippi has its fair share of artistic legends, and the new Mississippi Arts and Entertainment Center (The MAX) celebrates them and explores why. A project long in the making, this powerhouse museum opened to great success on April 28th. Now that The MAX has opened its doors to the public, visitors can explore 58,000 square feet of Mississippi arts, culture, and entertainment. 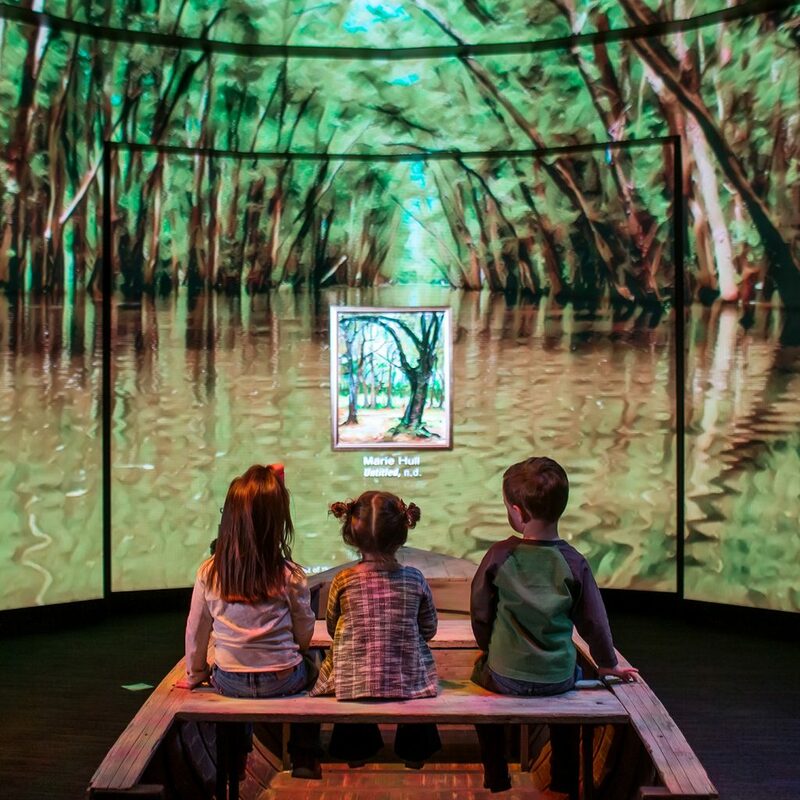 G&A designed the entire visitor experience of this new Museum, including the immersive media. 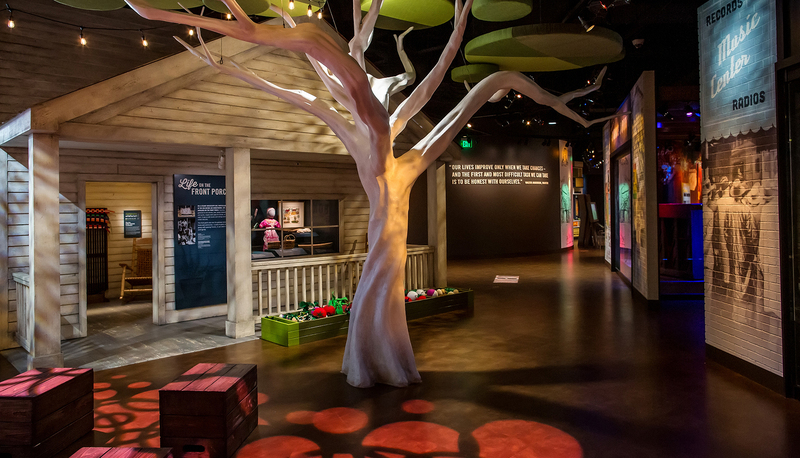 The goal in the design of the exhibits and interactive experiences was to go behind the legends and reveal how Mississippi has shaped and inspired the variety of artists who were born and raised there. The MAX is organized thematically, in six G&A-designed exhibits that aim to examine the main sources of inspiration for Mississippi artists. Visitors are invited to explore the Land, the Home, the Community, the Church, the People, and the Places that make Mississippi so special. Throughout the galleries, visitors interact with cutting-edge technology and hear personal accounts from Mississippi artists about the importance of their home. The spaces examine the dynamic and reciprocal relationship between artists and place; for just as a place can shape an artist’s work, the presence of artists can influence a place — and inspire future artists down the road. While The MAX will be the state’s largest tribute to its artists, it is not the first place to celebrate Mississippi’s legends. The state is becoming a nationwide centerpiece of this sort of cultural tourism. The MAX is a culmination of many of the other Mississippi projects G&A has worked on, including the B.B. King Museum and Delta Interpretive Center and the Grammy Museum Mississippi. Many of the artists celebrated at these experiences will be featured in The MAX’s Hall of Fame. 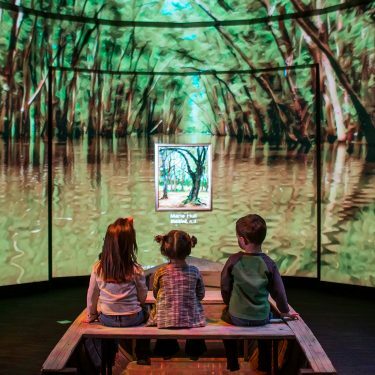 This multisensory, 360-degree experience invites visitors to interact with the musicians, actors and media personalities, visual artists, authors, and other arts and entertainment legends who trace their roots to Mississippi. Included in this year’s Hall of Fame are B.B. King, Elvis Presley, William Faulkner, Morgan Freeman, Eudora Welty, and Oprah Winfrey; more will be added every year. For just as Jimmie Rogers inspired Bob Dylan, Muddy Waters inspired The Doors, and Tammy Wynette inspired Dolly Parton, The MAX aims to spark a fire in the souls of the state’s newest artists, as well as every visitor that walks through its doors.